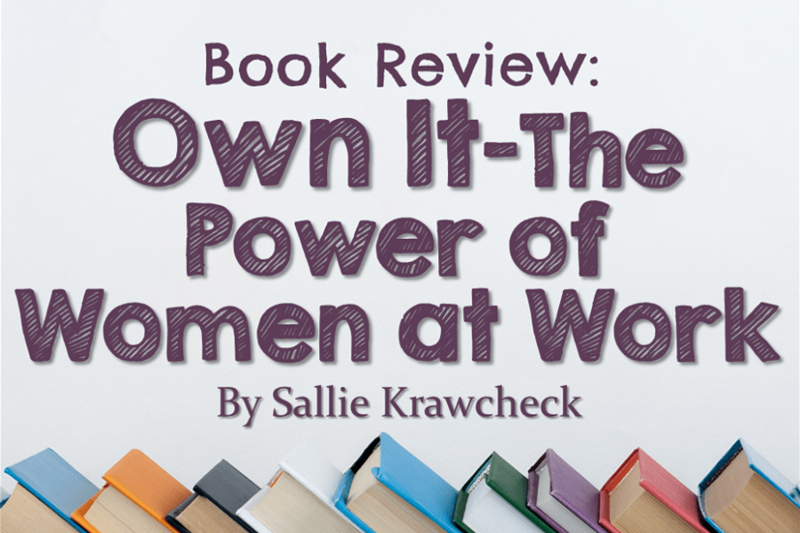 Book Review: Own It—The Power of Women at Work | Good Life. Better. 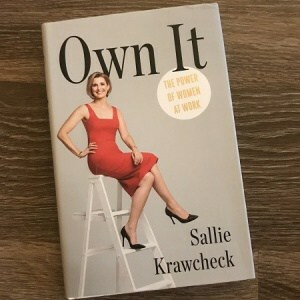 I learned about Sallie Krawcheck’s story through one of the many podcasts I like to listen to (I think it was No Limits with Rebecca Jarvis if you are interested—lots of good interviews with leading business women). Sallie spent most of her career working for and running some of the biggest investment houses on Wall Street and is the founder of Ellevest, an investing platform targeted to women. Sallie’s career had its up and downs—including two very high-profiling firings from Citigroup and Bank of America—so I was curious about her book Own It: The Power of Women at Work. Being fired seems more an illustration of powerlessness, not power. Having completed her book, however, she makes it clear she views her forced departures as a consequence of exercising her power instead of lacking power. She acted and others reacted. She also doesn’t appear to regret the actions she took, even after knowing the outcome. That’s an attitude I can definitely appreciate. When you take risks with your career, you will sometimes end up on top but other times, you will land with a thud. While I have never been fired, I have been passed over for promotions and have not only survived but am a better person for it. The first section of the book introduces the theme that not only should women not act like men to succeed at work, but that the attributes traditionally thought of as “female” are what make women so very valuable in the workplace. The research shows that women do bring “different” traits to the office that are good for business. Okay, even great for business. Among them: advanced risk awareness; a holistic perspective and ability to juggle complexity and multitask; long-term thinking; a focus on relationships and team building; a love of lifelong learning; and acute awareness of meaning, purpose, and social impact. As such, Sallie calls on women to “own” what makes us different. 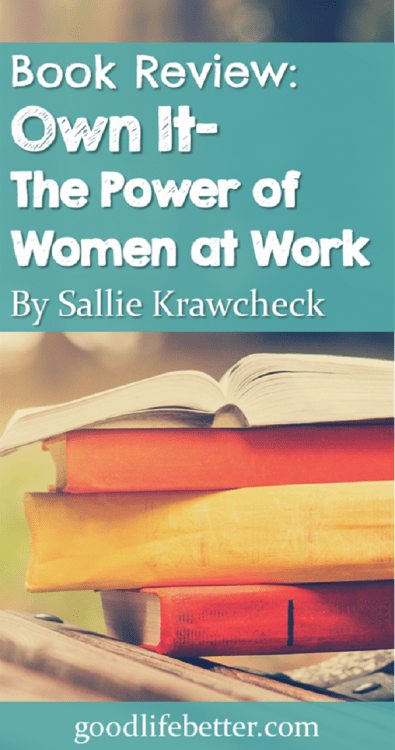 I have read this research too and agree with Sallie’s logic: companies succeed when they solve their customers’ problems and having women in the conference room (and the boardroom) is critical because the likelihood that customer will be a woman is increasing. Women, according to Sallie’s research, make 4 out of 5 consumer purchases and control an enormous amount of the assets currently invested in the United States, $5 trillion by ourselves and another $6 trillion with our spouses/partners. How do we do this? Women need to get smart with our careers. Second, we ask for raises to ensure we are paid what we are worth (which we will know, because we have clear performance metrics). Third, we find mentors and sponsors. Mentors will give us feedback and help us steer our careers, but sponsors will advocate for us to be picked for the positions and projects that will propel us forward. Sallie walks through—and debunks—common myths about women and investing, including that women are are too risk-adverse or not interested. Next she covers financial mistakes we make (procrastinating, sticking with a financial advisor we don’t like) and provides a list of steps to take now (pay down consumer debt, build an emergency fund). The next section on having those tough workplace conversations and creating a corporate environment that works for everyone seems as if from another decade given that the book was released just months before #MeToo (although it remains to be seen what the lasting legacy will be from that—fingers crossed!). She articulates well why such conversations are important but the hows are lacking. She did provide one good starting point: the workplace thermostat (a.k.a. doing something about offices that could double as meat lockers). Like most of the women I work with, I have a space heater tucked under my desk (hidden so that maintenance doesn’t confiscate it because of the fire risks). A world where I don’t have to wear more layers in my office than I do outside sounds like a good place to start! The last section starts with a discussion of how—confronted with women unfriendly work environments—many women are embracing entrepreneurship. “The qualities women bring to the workplace can also make us terrific entrepreneurs.” Hell yeah! I do have a problem with the model she presents—saving up two years of living expenses and going “all in.” I consider myself an entrepreneur even though I still have my full-time job. That stability gave me the courage to start my side hustle in November 2015 and this blog in August 2017. My side hustle is already profitable and my plan is for this blog to be profitable within the next year. If you want to save up for two years (or seek backing from venture capitalist or angel investors) then power to you. But in my experience, those are not the only paths to getting started. As noted above, the first strategy Sallie suggests for taking control of your career is establishing clear performance metrics. Unfortunately, as she does in several places throughout the book, she doesn’t provide a lot of direction in how to do this. In my 20+ years post undergrad, I have found it difficult to work with my supervisor to define metrics, or to revisit these metrics more than once a year, even if a project changed directions. If you have faced this issue too, my advice is to come prepared with draft measures and to continue to raise the issue until you succeed or it becomes obvious that its never going to happen. If it’s the latter, you may want to consider leaving. If the criteria by which they are judging your performance are arbitrary, it is likely the criteria they use to determine who should be promoted will also be arbitrary. That is not good. 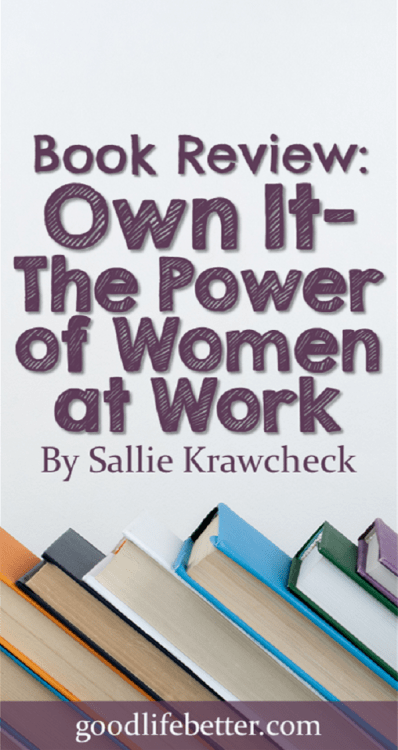 Have you read Own It: The Power of Women at Work? What did you think? Let me know in the comment section below. This sounds like another book that needs to be added to my “to read” list on Goodreads. Asking for a raise is such an important part of your career but one of the hardest parts for sure. Thank you! It was a good read–I admire Sallie’s persistence!